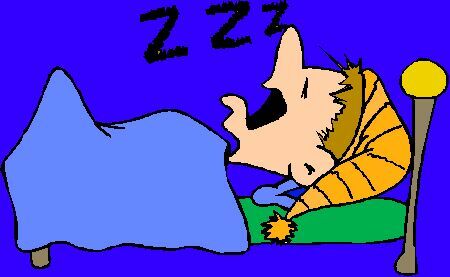 Rantings of An 80s Nut: Sleep Writing Or Plagiarism? When I used to write tons of poetry, I remember one morning waking up with a song in my head. Most of my music was metrical and was written with the idea of music but this one stood out. I called it "Embers" and felt it was my best work. It was only later that I found out that I'd just been dreaming about an obscure favorite song of mine called "Burning Flame" by Vitamin Z. Of course, I was embarrassed as all hell and thankful that I never tried to publish it. As bad as I felt, I found out later this happened to another famous singer/songwriter named Robert Palmer. He woke up one morning with a song in his head and jotted it down the best he could remember. He didn't remember it that accurately though. After recording it in the studio and sending it to his record label did he find out where he got the inspiration for the song "Some Guys Have All The Luck." Rod Stewart's version hadn't been released yet but Palmer believes that Stewart might have been in a nearby studio and he picked up on it that way. Palmer did release his version and rightly credited Stewart. How many times have you woken up with something in your head that you thought was original but was just a rehashed memory of something you overheard? Do you dream musically? I never dream lyrically. I always dream about experiments I'm doing. Some of my best ideas have come that way! I don't dream musically, but I do dream in color. I tend to dream about things that make me wonder if they have acutally happened or not. Vavoom and 80s-I heard Albert Einsteins best ideas came to him in that place halfway between sleep and awake. Maybe we are just geniuses and don't even know it! That or we need to linger between the two states longer. I should make a pill for that. I have written several stories after I dreamed the story first.